The 26th Annual General Meeting of Axiata Group Berhad will be held on Wednesday, 23 May 2018 at 10.00a.m. The 25th Annual General Meeting of Axiata Group Berhad will be held on Friday, 26 May 2017 at 3.00 p.m. The 24th Annual General Meeting of Axiata Group Berhad was held on Wednesday, 25 May 2016 at 2.00 p.m. Extraordinary General Meeting - Proposed Acquisition of Ncell Pvt. Ltd. will be held on Wednesday, 17 February 2016 at 3.00 p.m.
Grand Ballroom, 1st Floor, Sime Darby Convention Centre, 1A Jalan Bukit Kiara 1, 60000 Kuala Lumpur, Malaysia. The 23rd Annual General Meeting of Axiata Group Berhad was held on Wednesday, 20 May 2015 at 10.00 a.m. The 22nd Annual General Meeting of Axiata Group Berhad was held on Wednesday, 28 May 2014 at 10.00 a.m. The 21st Annual General Meeting of Axiata Group Berhad was held on Thursday, 23 May 2013 at 10.00 a.m.
Read about the latest development that are making headlines at Axiata. I am pleased to invite you to the 22nd Annual General Meeting (22nd AGM) of Axiata Group Berhad (Axiata) which will be held on Wednesday, 28 May 2014 at 10.00 a.m. at the Grand Ballroom, 1st Floor, Sime Darby Convention Centre, 1A Jalan Bukit Kiara 1, 60000 Kuala Lumpur, Malaysia. The Annual Report Summary 2013 containing the Notice of the 22nd AGM dated 6 May 2014 outlining the businesses being put forward to the shareholders at the forthcoming AGM are available from page 14. Shareholders attending the 22nd AGM can register from 8.00 a.m. (Malaysia time) at the entrance of the meeting hall. Administrative details for the 22nd AGM, including the map to the venue, are provided in the Annual Report 2013 on page 367 and 368. 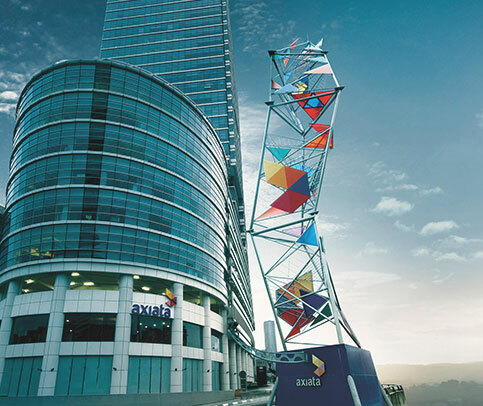 The Annual Report 2013 and Circular to Shareholders dated 6 May 2014 providing details of the proposals under Special Business of the meeting are available on Axiata's website. Should you require a printed copy of the Annual Report, please forward your request to our Share Registrar by completing the attached Request Form. Shareholders are encouraged to attend and participate at the 22nd AGM. If you are unable to attend the AGM, we encourage you to lodge your vote in advance by submitting your Proxy Form to the office of our Share Registrar, Tricor Investor Services Sdn Bhd, Level 17, The Gardens North Tower, Mid Valley City, Lingkaran Syed Putra, 59200 Kuala Lumpur, Malaysia or via facsimile to +603-2282 1886, no later than 10.00 a.m. on 26 May 2014. On behalf of the Board and Management of Axiata, I would like to invite you for some light refreshments prior to the meeting. A packed lunch will also be served after the meeting. I look forward to welcoming you to the 22nd AGM. 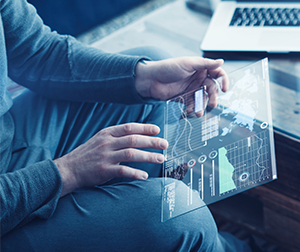 Be available for confidential discussions with other Non-Executive Directors who may have concerns which they believe have not been properly considered by the Board as a whole.